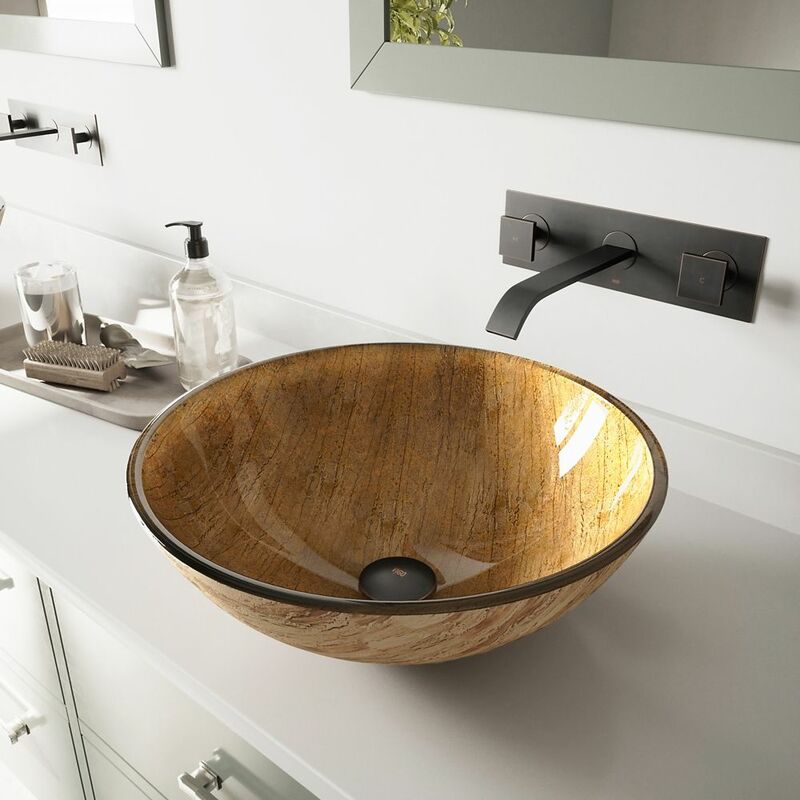 Glass Vessel Sink in Amber Sunset with Titus Wall-Mount Faucet in Antique Rubbed Bronze is rated 4.8 out of 5 by 48. Rated 5 out of 5 by LulaG from Beautiful sink! We were redoing our powder room and chose this sink from Lowe's website. It was easy to install and looks beautiful. Rated 5 out of 5 by Karl907 from Beautiful product Bought to re-model a 80's era half bath. Sink, faucet and drain are quality products. Installation was easy. Rated 5 out of 5 by Harry1 from Really Happy with the Product I bought the product , arrived on time and met my expectation. Really easy to install. Love the details. Rated 5 out of 5 by lc47 from easy installation Was completely satisfied with the sink and faucet. It was easy to install and looks beautiful in our bathroom. Functions well. Was very well packaged. Purchased on 08/19/2016 and installed right after. We would purchase Vigo products again.